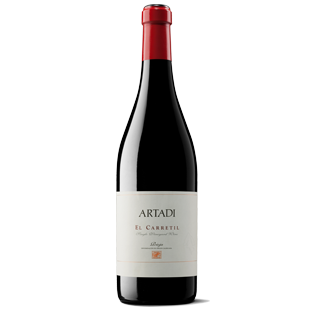 "A wine with deep sensations: one can feel the vibrant fruit along with fibrous and sculpted tannins. A fusion between ripe flavor profiles and the precision of mineral characters, the projection of fine tannins and the encompassing texture of a delicate wine. Clay-limestone set on a sandstone rock with calcareous precipitation placed on the highest and poorest areas. In the deepest and freshest areas we find soil which lies on a significant clay-limestone layer. Depth between 40 and 90 cm."